Disc Drivers rejoice, I’ve just gotten word that a big update for Disc Drivin’ was submitted to Apple last week and that it should be arriving on the App Store soon. Maybe even within the next couple of days TONIGHT!. It’s been about 5 months since we’ve seen an update for the amazingly addictive Disc Drivin’, yet I continue to play it nearly every day. Did I mention the game is addictive? Great news! It appears that the development team at Pixelocity Software haven’t just had their heads down, feverishly playing Disc Drivin’, they’ve actually been hard at work, adding a lot of new (FREE) content! These new elements certainly look like they’ll add some nice variety to the gameplay. Since the ice blocks require three hits to be destroyed, they could act as an equalizer, allowing the player in fourth place to catch up. 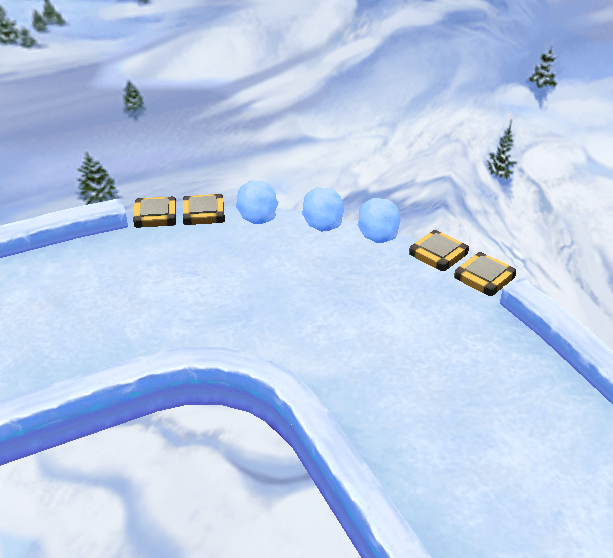 On a similar note, the snowballs could be used quite strategically. The push notification badge is something I’ve been waiting for for a long time, now no more excuses for taking a too long to make my moves. I bet this thing will look pretty sweet on the new iPad with the new retina graphics. I don’t know about you, but it looks like this update is going to have been well worth the wait….so excited! Watch for a tweet from me when the update is available for download.